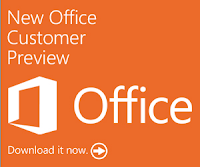 As of yesterday, we have exciting new news about Office 365! Microsoft released some official pricing finally and gave us more details both about Office 365 as well as Office 2013. The documentation released yesterday covers the "Office 365 Home Premium" and "Office 365 Small Business Premium" products. 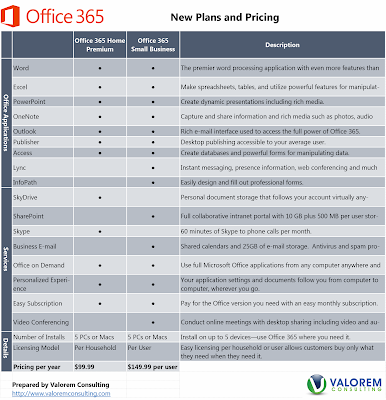 Pricing for Office 365 Home Premium is $8.33 per month ($99.99 billed annually). 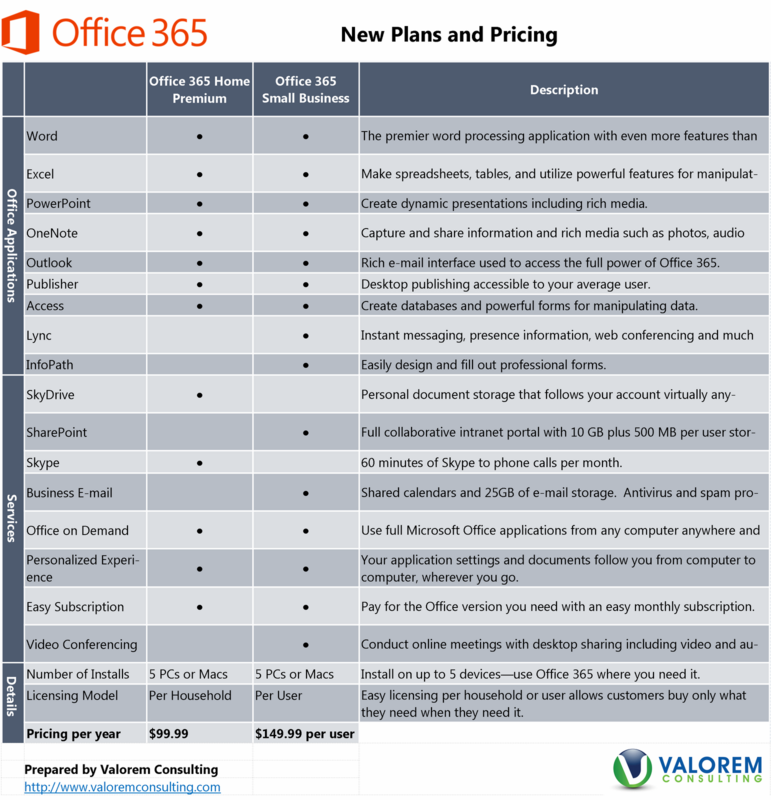 Pricing for Office 365 Small Business Premium is $12.50 per month ($149.99 billed annually). Microsoft is still offering the traditional Office suite sold in single units. You will be able to buy the software from resellers and through traditional licensing channels as well. A somewhat toned-down version of Office will be included in the new Microsoft Surface tablet with Windows RT although the more expensive tablets with full Windows 8 operating systems will require a full Office license. Upgrades will be available for those who purchase current Office packages. They can download the new versions and get a year of free access to the appropriate upgrade version for their product. We still don't have all the details about the larger business plans. Expect for Microsoft to release bits and pieces as we get closer to the anticipated release dates early in 2013. The original Microsoft press release can be found here. If you are interested in finding out more about the new version of Office 365 I'll be delivering a webinar on the subject next week. Get the details and sign up here.